As of last night, the Food & Wine Classic in Aspen is in full swing. The wine is flowing, the parties are raging, the food is unbelievable. And because the weekend-long food fest takes place in Colorado, where certain new laws can bring on all sort of cravings, tastes are eclectic. Are those two things related? Who can say. From José Andrés's caviar and Ibérico to Frito pie, here are some of the best things people snacked on until the wee hours of the morning at our favorite food weekend. 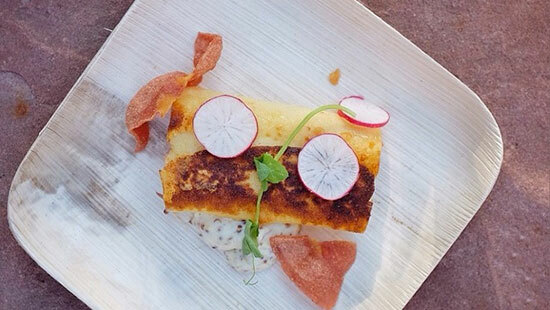 Follow the Aspen action on Twitter and Instagram with the hashtag #FWClassic.